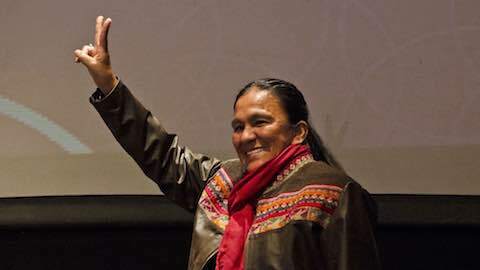 It was a rough one for the Argentine social activist and community organizer Milagro Sala. Two separate courts convicted the head of the Tupac Amaru Neighborhood Organization for crimes related to her protest activities. Although neither sentence included mandated jail time, Sala, who has been detained since last January, will have to remain behind bars pending the investigation of more serious allegations against her. Nevertheless, several human rights groups have questioned the court's assessment that Sala's release at this time would interfere with investigations and have labeled her continued imprisonment as arbitrary. Last December 15, over seven years after the incident, the trial began. [iv] Despite evidence that the Tupac Amaru chief did not participate in the riot herself, testimony indicated that she had encouraged violent acts against Morales. [v] As a result, the neighborhood organizer was sentenced to a three-year prison term. However, as a first-time offender receiving a sentence of three-years or less, Sala's punishment was automatically commuted to parole with community service. Two fellow Tupac Amaru officials, Graciela López and Ramón Salvatierra, were handed similar punishments. Over the past 20 years, the Tupac Amaru Neighborhood Organization has provided thousands of Juje-os with housing, education, and health care. At the same time, the grass-root organization has evolved into a powerful entity that uses social projects to win over political loyalty. [xiv] During the Kirchner Administration, Tupac Amaru received billions of pesos in federal subsidies to fund its various building projects. But a shortfall in the number of housing units constructed has left critics questioning where over 700 million pesos have gone. [xv] The alleged mishandling of these funds remains Sala's largest legal problem. The imprisonment of La Gobernadora, as Sala is known due to her politcal power throughout the province, remains a thorn in President Macri's side as he begins his second year in office. The president continues to face international pressure for her prompt release from UN investigators who are scheduled to visit the country this spring. However, Governor Morales' party, the Radical Civic Union, has become a vital part of the Macri's Cambiemos coalition. The reintegration of the CGT, Argentina's largest labor confederation, and the recent working alliance between Sergio Massa's Union of the Democratic Center and Cristina Kirchner's Justice Party demonstrate an increasingly united opposition to the current administration. With disappointing economic growth eroding his public support, the president will have to avoid undermining political allies, even ones with a loose relationship to the Rule of Law. Needless to say, Milagro Sala should not expect the same help from Macri in her legal battles as she received from the Kirchners to fund her organization's social programs. Latin America: "Milagro Sala Convicted Twice in One Week"